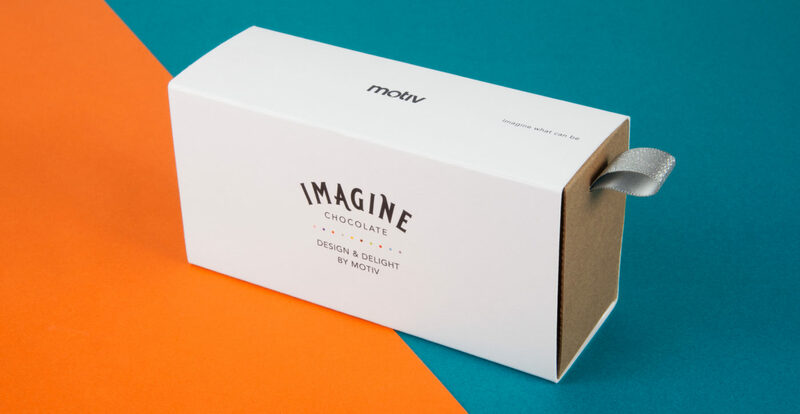 With a blank slate, the desire to wow our clients and fueled by the best chocolate we’ve ever tasted, Motiv set out to create a brand destined to be an unforgettable New Year’s gift. 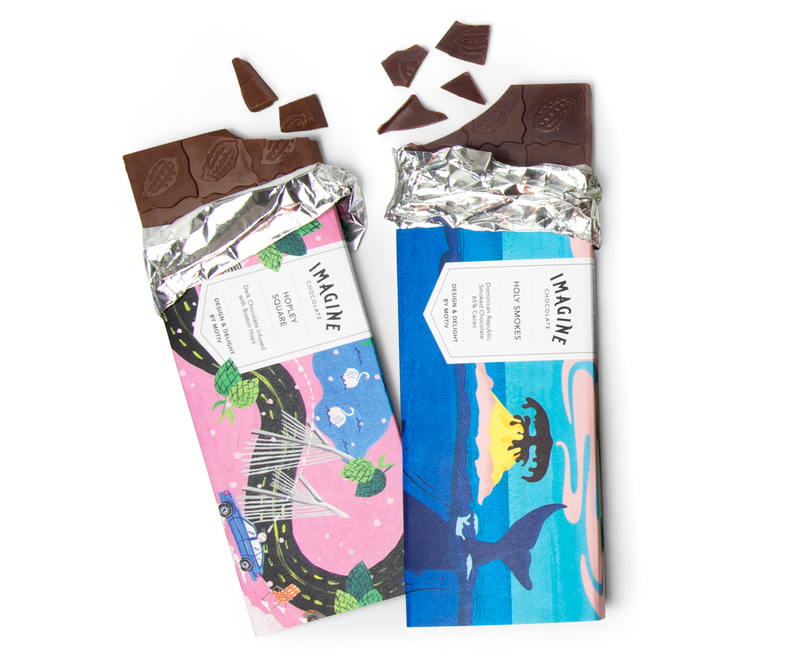 We knew from the start we’d be collaborating with confectionery genius Eric Parkes of Somerville Chocolate—made right across the river from Motiv’s office in Boston. 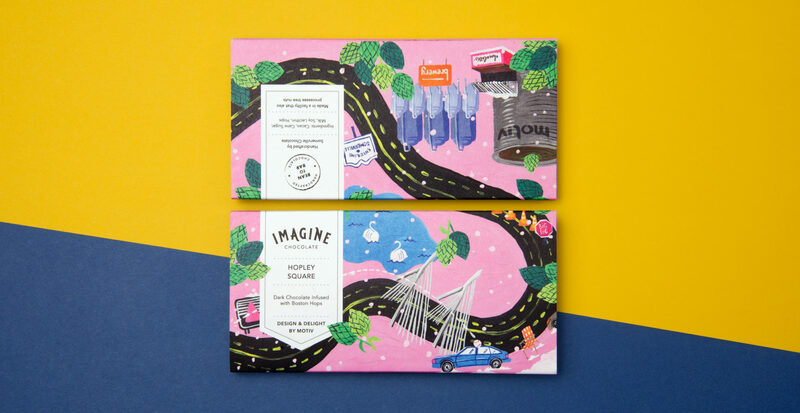 With a range of premium, handmade chocolate bars crafted with ingredients sourced from small growers around the world, it had the makings of a hit. 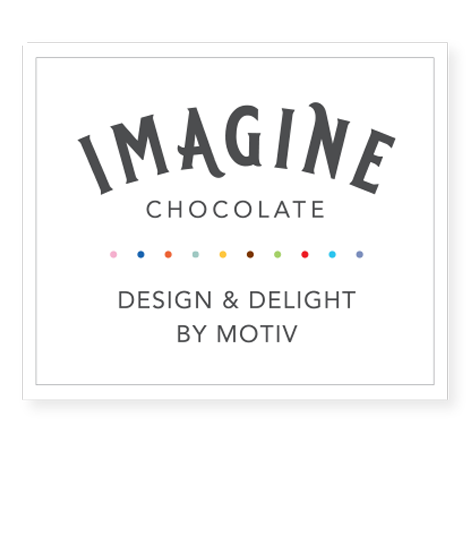 We set to work creating a product that showcases our branding, naming, design, packaging and user experience prowess. 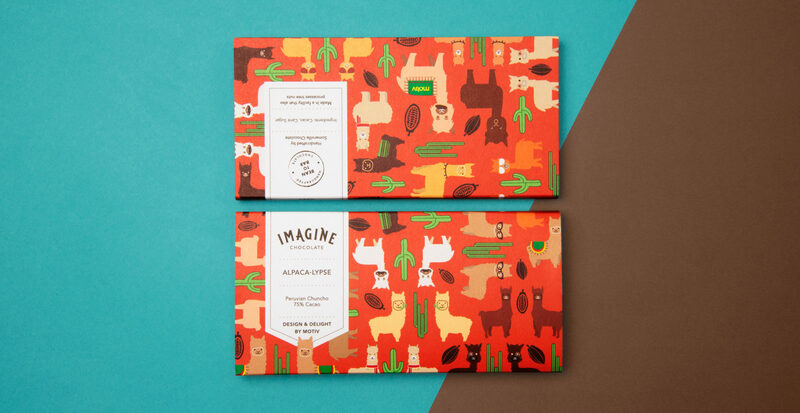 Origin + Flavor + Whimsy + Delight = Imagine. 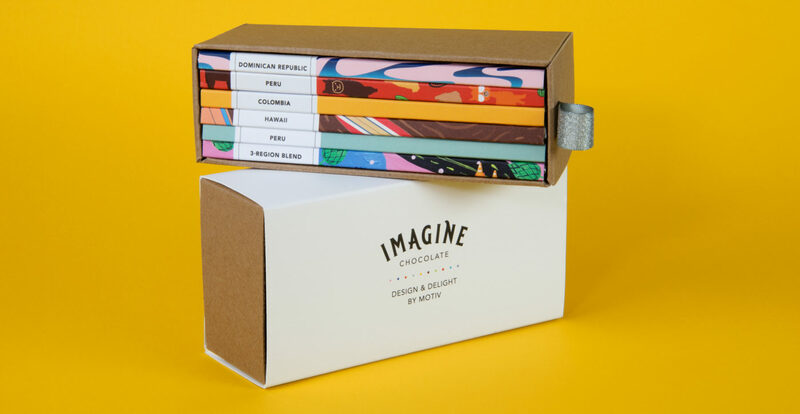 Next we established the line logic and brand block that would unify the series. 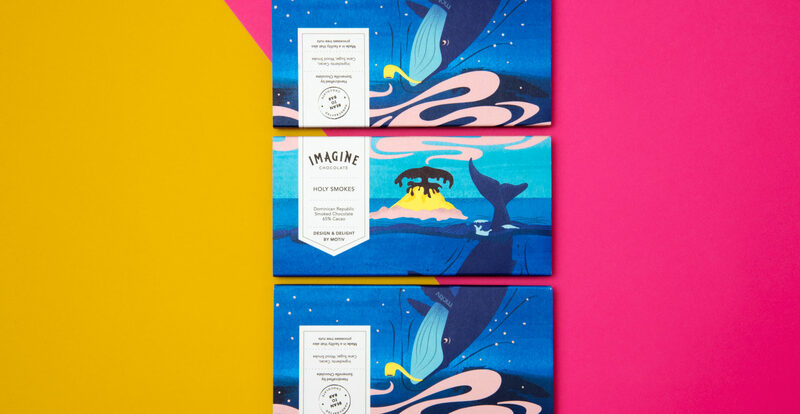 Then our graphic designers were paired with one of six chocolate varieties and directed to set their imagination free. 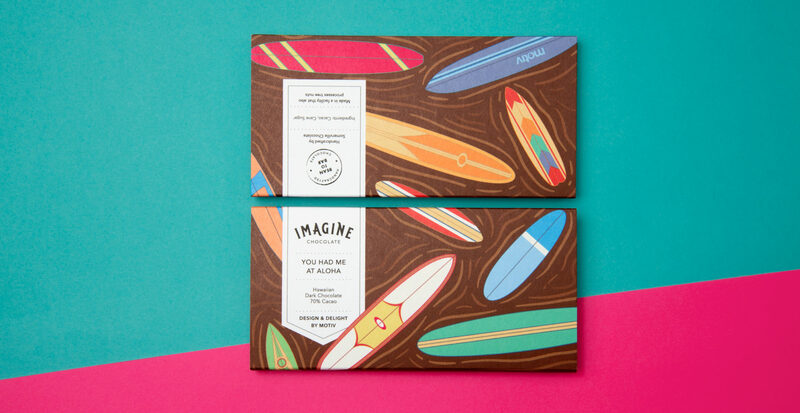 Each designer created a clever name for the flavor and a stunning wrapper to bring the story to life. 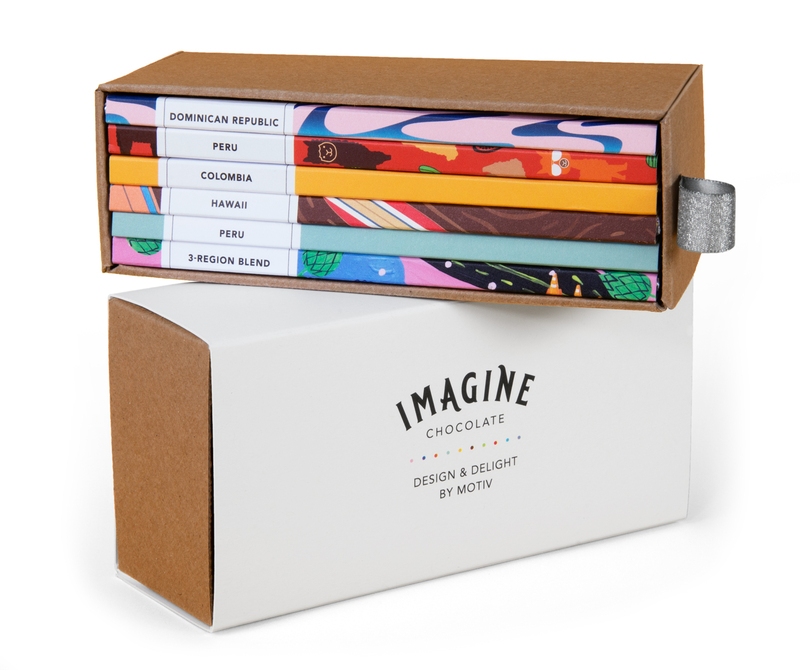 Our packaging and user experience designers explored the world of structures, fasteners and closures to create a simple, elegant unveiling for this gift of pure deliciousness. 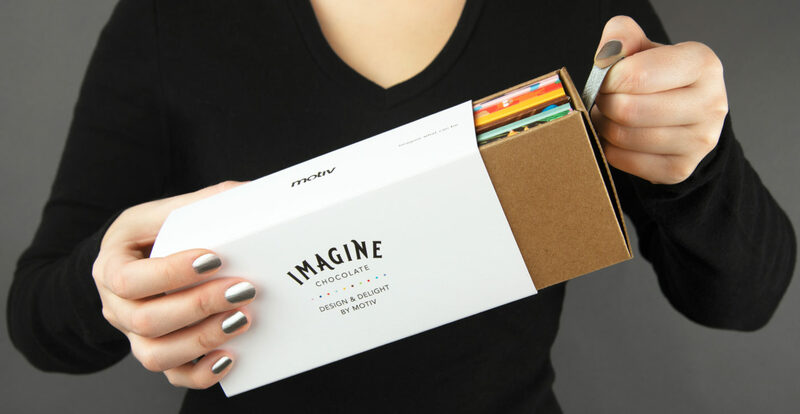 The assortment was presented with a note encouraging the recipient to share this chocolatey joy and take a magical moment to imagine what can be in the year ahead.